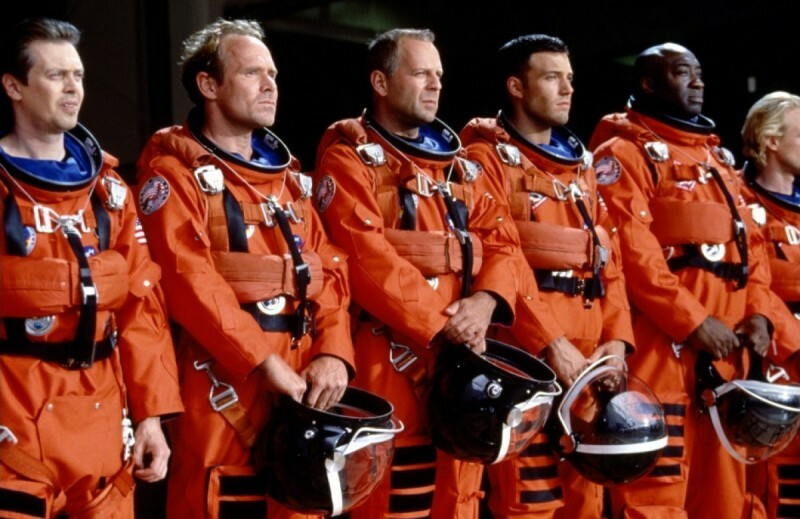 Hi, I'm Sara, and I love the movie Armageddon. I'm not proud of it. I know Michael Bay's schlocky 1998 disaster epic is not a good movie. But it's an entertaining one. 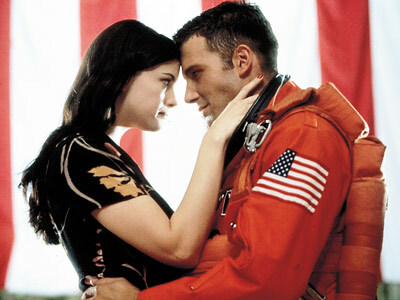 And if I can't justify my love of late-'90s Bruce Willis and Ben Affleck fighting a terrifying interstellar body on today of all days, when can I? For lo, today is asteroid day. Yes, I am trying to include Tard in at least one post every month. First, the beginning of Armageddon basically unfolded live in Russia today. Remember in the movie when the gargoyles of Notre Dame watch as Paris gets wiped out by a meteor? That's what the footage from the Chelyabinsk region in Russia looked a lot like when a 10-ton meteor exploded in the atmosphere and left an eight-mile crater in the ice outside of town, according to the Associated Press. Seriously, tell me this doesn't look like a Bay-ian special effect. From PerthNow. The meteor rocketed into the atmosphere at 33,000 mph and hit like an atomic bomb, causing a sonic blast that shattered windows and injured more than 1,100 people. You can see photos of the aftermath here. And dig this: That devastating meteor is the baby cousin of the big daddy asteroid that brushed past our planet earlier today. 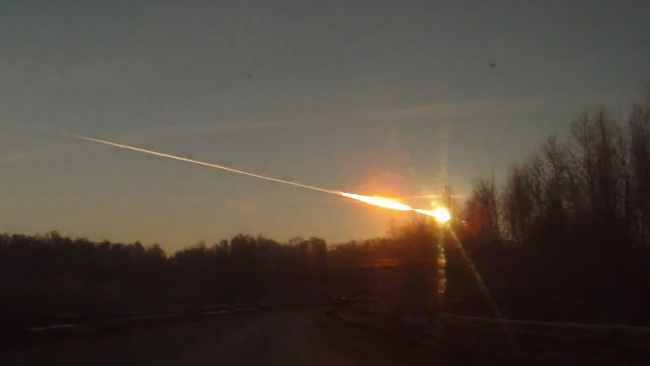 NASA reports that the Russian meteor was about 49 feet wide before it broke up in the atmosphere. But the asteroid 2012 DA14 is about three times that size. It passed within 17,000 miles of Earth earlier today; that's the closest an asteroid of that size has come since scientists starting tracking them. 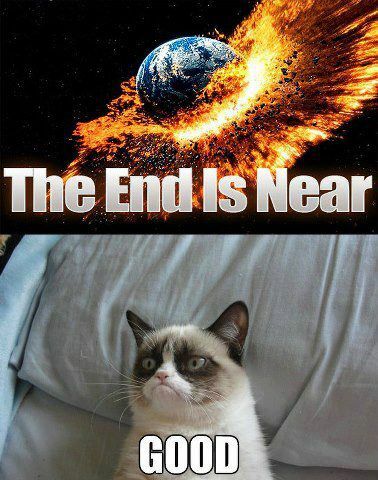 So ... is this, in fact, the start of Armageddon? Are space rocks out to destroy us all? Actually, no. The European Space Agency assures us all that it's a coincidence and there's no connection between the two flying objects. So sleep easy, Earthlings! The rocks aren't trying to kill us ... or at least, that's what they want us to think. The cast is great fun. Bruce Willis and Ben Affleck are at their cocksure best. Liv Tyler looks lovely and speaks Mandarin. Steve Buscemi plays a double-Ph.D. with space madness. Owen Wilson is laconic. Billy Bob Thornton is gruff. William Fichtner is steely. Peter Stormare is Russian. And Michael Clarke Duncan is pure magnificence. In a rare move, NASA allowed the movie to be shot in many restricted parts of the facility, and actors got to wear actual NASA spacesuits. J.J. Abrams pitched in to write the screenplay. I can only assume the wittier lines of dialogue come from him. To make the sound effects of the crew walking on the asteroid, filmmakers sprinkled cereal on set. That's the crunch crunch crunch you hear. Cool, right? Speaking of bombast, the action is ridiculous. Affleck bounces his rover thingy all over the asteroid thanks to the weak gravitational pull. Hydraulics explode. People bellow about machines not being able to take much more of this. It is all awesome. "OK, so the scariest environment imaginable. Thanks. That's all you've got to say: scariest environment imaginable." The animal cracker love scene between Affleck and Tyler is the single most embarrassing thing ever recorded on film. Now that that's out of the way, cinema has nowhere to go but up. The a cappella Leaving on a Jet Plane is delightful. There's a fire in space! Silly filmmakers, you can't have a fire in space! But that doesn't stop Michael Bay. He will have his space fire, and you will love it. 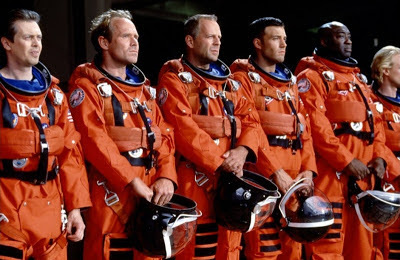 I'm saying it loud and proud: I watch Armageddon every single time I find it running on cable, and I am not ashamed. I urge you to join me the next time you find it on the FX network on a lazy Saturday — even if it's a day in which we aren't being menaced by debris from the sky. Brilliant! Sara N., your bravery is uplifting to us all, and your post, once again, nearly made me tinkle I laughed so hard. Yeah, I said it. I may have to purchase adult diapers because of Stellar Four. I now know what I'm watching tonight. Armageddon is my single biggest guilty pleasure movie, followed closely by Ice Pirates. I agree with everything here. I feel like Michael Bay's puppet after this but I can't stop watching. "You will laugh here. You will cry now. YOU WILL CHEER!" I shamefully admit to owning the Criterion Collection copy of this film.